You know I'm really starting to get a kick out of seeing what I can create within the limitations of meatless, sugar free, gluten free and dairy free meals. On this one, I believe I've really hit the jackpot! Once, many moons ago, my husband and I went to a local vegan restaurant called Kung Food, here in San Diego. I only went there once, but boy did that meal leave an impression on me. I remember it like it was yesterday. I ordered a dish called spaghetti with mock Italian sausage. It was abosolutely splendid to say the least. I was so impressed that afterwards I had to ask the waiter was was in that "sausage". I remember him mentioning mushrooms, and some other ingredients, but I don't think that he told me all of the ingredients. Well recently, since I've embarked upon my quest for healthier cooking and baking recipes, something within longed to discover a recipe similar to the one that I had at that vegatarian restaurant so long ago. When I came across a recipe that I found similar to it, I decided to give it a try, while putting my own twist on it, ofcourse. Below I share with you the recipe that I've come up with and boy was it tasty! Grate the cheddar into a food processor, then remove into a bowl. Add the walnuts and breadcrumbs to the food processor and chop finely. Now add the cheese back into the mix, along with the powdered onion soup,mushrooms, and the eggs, and mix thoroughly. Transfer the whole lot into the fridge for about half an hour. Meanwhile, warm the oven up to 350F. Once the mix has chilled thoroughly, remove it from the fridge, and roll it into small balls, about ¾ of an inch across. Place each one on a greased baking sheet. Bake for about 20 minutes, or until browned. At this point you can take the baking sheet out of the oven and freeze or refrigerate some of the balls for later use, or you can add them to a spaghetti sauce and cook for about 30 minutes. These can be served with a marinara dipping sauce, or a sour cream dill sauce, or however you like to eat meatballs. For the spagetti sauce you may use the same recipe that I've provided for my Pizza recipe with the beets an carrots, or make your own sauce. Also with this I've used brown rice pasta that I buy at Trader Joes. You may also use spagetti squash, seaweed pasta, soba noodles or regular wheat pasta to make this dish a hit! *The original recipe called for 2 cups of cheese, to economize I used one. You can try it either way. The Wonderful Benefits of Watermelon! Watermelon season is nearly here, and in some parts of the country we are already enjoying this juicy, delicious treat. Watermelon is not only a sweet thirst quenching treat, but it brags of many health benefits for us. Firstly, watermelon has a high content of vitamin C and vitamin A (which contains beta carotene). These two nutrients are considered the strongest anit-oxidants that we can obtain from our food sources. This anti-oxidant duo is beneficial in warding off heart disease, strokes, colon and other cancers, asthma and can possibly eleviate the symptoms of osteo and rheumatoid arthritis. Something else special that watermelon has to offer is high amounts of the powerful antioxidant known as lycopene. 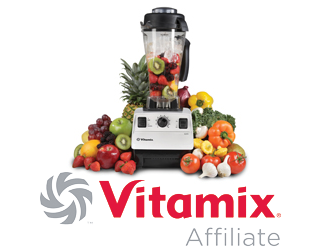 Extensive research has shown that lycopene is a formidable combatant of many forms of cancer. These cancers include prostate cancer, breast cancer, endometrial cancer, lung cancer and colorectal cancers. 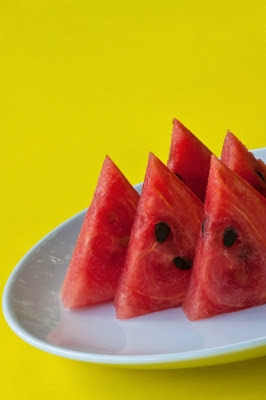 It is best to eat watermelon along with other foods that are high in lycopene, such as green tea, grapefruit, papaya, grapefruit, quava and mangoes. The fact that watermelon is high in B vitamins means that it is great as an energy resource. The natural sugars present in watermelon also make it a great snack choice when you need a little pick me up to get you going. Watermelon is also rich in potassium. Potassium helps to balance out the effects of salt by keeping the blood pressure balanced. Postassium also regulates that heart beat, can possibly help to prevent strokes, and prevent kidney stones and reduce bone loss in from aging. Subhanallah! All of that benefit in such a tasty gift from Allah! So the next time that you have a big wedge of watermelon, prays Allah for the great benefits of this wonderful fruit. Almond Dream ice cream is put out by the same company that makes Almond Dream (the beverage), Rice Dream (the beverage) and the non dairy frozen dessert, and the Soy Dream line of products as well. I've tasted all of these frozen desserts and I have to say that between the three of these, Almond Dream wins hands down. The Almond Dream dessert comes in a few flavors such as chocolate,vanilla, praline crunch, and cappuccino swirl. By far my favorite flavor is praline crunch. It has the best flavor and reminds me of my favorite ice cream that I used to endulge in at Baskin&Robbins, pralines and cream. So if you're going dairy free, but really miss your occasional ice cream, treat yourself to Almond Dream frozen desserts. I've tried many ice cream substitutes, such as Rice Dream ice cream and Soy Dream ice cream, however this one is the best one that I've tasted. You may go to the Almond Dream website to learn more about their products. Is This Meat Halal? A Bone to Pick with Halal Market and Restaurant Owners. As everyone probably knows by now, I'm a big advocate of eating halal meat. According to the scholars that I follow all meat that is eaten must be slaughtered in the manner of zabiha. 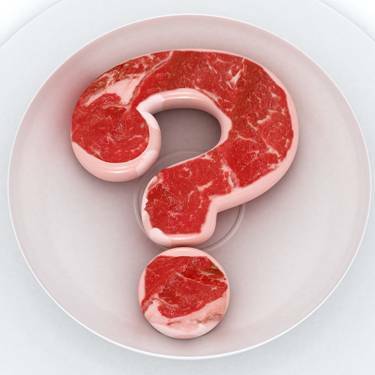 Thus halal meat is synonymous with zabiha meat, and they are one and the same. Having said that, I have to say that I have become all but disenchanted with some of the halal restaurants and meat markets in my area. Firstly, let me say that I am not accusing any of the restaurant owners here or any where else of intentionally selling meat that is not halal. On the contrary, you should always give your Muslim brother the benefit of the doubt unless you have incriminating proof. However, I will say that I have had some unpleasant dining and shopping experiences that could have been easily avoided if the owners of these establishments had taken some very basic and simple precautions. Here is an actual scenario that has happened to me. Now this was years ago when I was pregnant with my youngest child. I rarely eat lunch meat; it's just not my thing. My husband likes it however, so after work he proceeded on to a well known halal meat market in our area. He called me from the market and asked did I want anything. This time I had a taste for some roast beef so I asked my hubby to bring a small amount back for me. I made myself a sandwich with it and I have to say that I killed it. Weeks later while having a conversation with some of the sisters in my community, I was talking to them about how great the roast beef sandwhich was that I had eaten a few weeks ago. "Roast beef? ", my sister questioned me. "Where did you get roast beef from?" I named the market that we were all familiar with and shopped at. "That roast beef isn't halal," they said. I felt as if I would turn green with illness. "What?" "What do you mean it isn't halal." "All of the meat there is halal, isn't it?" I inquired. "No, you have to be careful, because not all of the meat there is halal", my friend and sister explained. "Wow, so how did you guys find out that the roast beef wasn't halal? ", I asked. Both of them admitted that they had bought it once or twice themselves, and didn't find out until it was mentioned by someone else, or that they had over heard the butcher telling someone else that it wasn't halal. Ya Allah! There was no sign mentioning that the meat wasn't halal meat, and to add insult to injury the non-halal roast beef was sitting right next to the halal mortadella. Immediately after having this conversation with the sisters, I called the meat market to speak to the owner. I was pretty upset. I asked him about the roast beef and he admitted that it wasn't halal. I asked him why didn't he have some kind of sign, so that people could distinguish the halal from the unhalal meat? He replied, "that's not necessary, every one knows that the roast beef isn't halal." "Obviously, not everyone knows this, or else my husband who only eats halal meat would not have bought it", I retorted angrily. "What if people come to your market from another city?" I asked. "How on earth are they going to know that your roast beef is not halal, when there is no sign saying otherwise, and it's sitting right next to halal cold cuts? ", I argued. Now I know, I know, I probably shouldn't have been so upset, but I was pregnant and very unnerved at the fact that I had digested some unhalal meat at the hands of this person, especially while I was pregnant. So any way to make this long story shorter, I was unable to convince this man to put up a sign, for his meat. He did apologise, Ma'shallah and I've since forgiven the incident. However this sort of thing happens often. I've been in similar situations at other meat markets and restaurants as well. Scenario goes like this, you've been going to your favorite halal spot ordering a gyro or chicken dinner, and then one time you go there and order what you've always ordered, only to over hear or have a friend tell you, "you know the gyro isn't halal anymore." You're practically in a state of shock! "Since when? ", you ask. Then you may get any number of answers, "oh since last month when the owners changed hands, or "yeah they did that about two months ago, he said they were losing money so they had to change things up." "Ya Allah! ", you think why couldn't they have at least let every body know this? In conclusion, I believe as a business person it is your job to keep your customers as happy as possible. Keep things honest and keep your customers informed. I just really have a problem with halal store and restaurant owners flippantly changing up their halal meat products from halal to unhalal, or to be more specific zabiha to non-zabiha meat without informing their customers in a major way. I shouldn't have to hear it through the grapevine, that your meat is no longer halal. It's quite easy to make signs and post them. Then train your butchers to inform every one that there has been a change in the status of the meat. Make your customers happy and they will repay you with continued service, and word of mouth marketing. This past Saturday was my birthday, Ma'shallah. I thank Allah T'allah for allowing me to see another year. I visited the graveyard of my beloved father, and gave some charity on this day to show gratitude to my Lord. And yes I did a little something for myself. Ofcourse since I'm the food business, so to speak, I took great pleasure in going out to eat with the hubby. This is something I used to do alot when we were first married, however I have to admit with a large amount of children, (I have five) I dont make it out as often as I used to. However, today I decided I definitely want to go out and try some different foods. I was feeling like something meatless today so we went to a local vegan restaurant called Sipz. The dishes there are all vegan. There are lots of mock meat dishes, and the cuisine is Asian, which made this restaurant an attractive choice for me. Also the prices are very reasonable, around $7.00-$9.00 for lunch. My husband and I ordered a variety of dishes as we usually do, in anticipation of trying out all of the dishes. My husband started it off with a nice cold mixed berry smoothie. I'd have to say that this was fair. Not great. We asked them not to put sugar in it as a sweetner. They used almond milk and just the fruit. I'd say I probably would have used pure fruit juice and honey sweeten it along with the fruit. It would have given it more of a citrusy kick, rather than the affect of an unsweetened milkshake. I wasn't too fond of the smoothie so I drank my water. Then we took on an appetizer of mock chicken drumsticks. These little vegan treats were very tasty! They had alot of crunch, and surprisingly enough they were able to pull off a great imitation of real chicken texture. It was really delicious especially with the sweat and sour sauce that it was served with. For soup, I ordered the Vietnamese "Beef" Pho. I'd heard so much about Pho that I had to give it a try. I didn't know of any halal restaurants around here that served Pho, so I figured this is the closest I'm going to get to the real thing. I loved it! My husband and I both killed it. It was very flavorful yet the rice noodles made it very light. The little mock beef pieces in the soup tasted good as well. It kinda gave you the satisfaction of eating meat, without the heaviness of eating meat. Next we got to the main dishes! My husband went with my suggestion of a dish called Thai Pad. It was a delicious and spicy noodle dish with mock chicken, onions, bean sprouts and crushed peanuts. I really loved it! The hubby loved it too! Next was my dish, the Mongolian "Beef". I've had this dish before on a previous visit, so I kinda wish I'd ordered something different. It was tasty, it had to serve as my meal for the next day however, because I was comfortably full by this point and didnt want to over do it. So, after lunch the hubby and I went for a nice talk and walk over by the beach, to let our lunch settle. Then over to my place where I ordered my first ever gluten free, vegan cake. It was a lemon coconut cake. Now I've ordered from Stephanies bakery before and her cakes back then were the bomb. I loved her cakes so this is why I chose to come here. However I've never gotten anything gluten free from her before. This cake was okay, not the best nor the worst gluten free dessert I've ever eaten. I shared my cake with family and friends and got mixed reviews on it. I got mostly thumbs down, with a few thumbs up. Eating this cake however, got me curious to see if I could come up with something better. I'll be trying to tweek some recipes, and keeping you posted on my progress. Over all it was a lovely day. We enjoyed all of the new foods that we tried, with the cake being the least enjoyable, but I didn't mind that much. It has sparked my interest in making my own gluten free cakes and desserts! Do you have a favorite vegan spot where you live? If so, post it here! So you're expecting a new addition to your family. Your bundle of joy is coming; the light of your eyes. Subhanallah! You want everything to be perfect for your baby, and second only to growing up to be a good Muslim, you want your baby to have good health. When I was planning to have my first baby, I did alot of reading and studying about what needs to be done in preparation. Exercising and eating well, helps to lend to our children having optimum health. Below are 5 of the most healthy halal foods that you can eat for the health of you and your baby. During pregnancy most women experience bloating and contipation due to the fact that the enlargement of the uterus causes the other organs to become cramped and smashed. This in turn causes digestion problems and constipation for the pregnant woman. 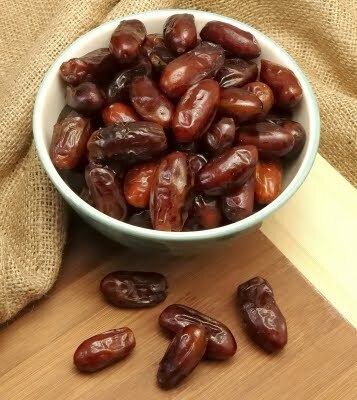 Dates is an excellent remedy for these intestinal annoyances. Moreover, being rich in iron, dates prevent anemia in mother and child. It is also believed that dates impart good memory and intelligence to the developing fetus. As if these benefits weren't enough, it has been noted that dates facilitate child birth by strengthening the uterus. Eat these plain or with peanut butter, or even stuffed with cream cheese, or tahini. Yogurt is a nutritional power house. It provides both your body and your baby with much needed folic acid, calcium, protein, and probiotics which aid in cleaning the intestinal tract and facilitating food digestion. 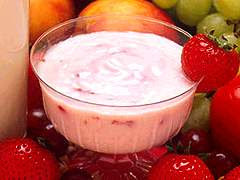 Eat plain yogurt along side your meals, make in a salad dressing, or eat with fresh fruit, and granola for a healthy snack. Firstly if you are going to eat meat, you should make sure your meat is halal. Start your pregnacy off right by eating what is halal, tahir and tayyib. Make sure the meat is zabihah/halal. Protein is a necessary nutrient for your body and your babies body. You don't want yours or your baby's muscle development and maintanance compromised. 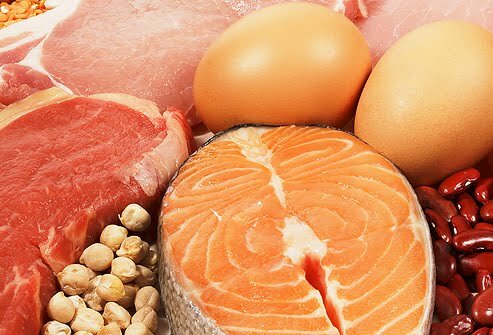 Also small bits of meat protein will help to keep nausea at bay. 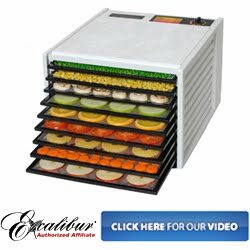 Try making or purchasing halal beef, chicken or fish jerky and keeping it stored away for those times when you're feeling less than top notch. This way you wont have to worry about getting up and cooking for yourself. Also great for when you're out and about and need a good boost of protein. If you're vegetarian no worries; beans, nuts and soy products (especially tempeh) can get you by. However I'd advise at the very least an egg or two or maybe some fish occasionally if you are having severe nausea during pregnancy. Lentils are so nutritious; they're packed with folic acid, protein, and vitamin B6. All key nutrients needed during pregnancy. Nuts will provide vitamin E which is needed for healthy brain development. Broccoli is nutrient dense with vitamin A, vitamin C and folic acid. Broccoli is great raw with a homemade veggie dip, or chopped up in a tossed salad. 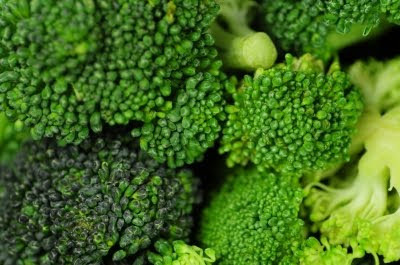 Broccoli is also excellent in stir fry dishes, broccoli soup and broccoli casseroles. Broccoli is great for both mommy and baby. 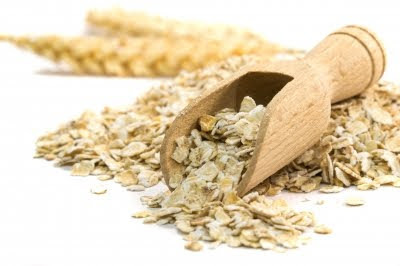 Oats contain lots of vitamin B, iron and many important minerals. Not to mention that oats help to lower the blood pressure and blood sugar. Many women suffer from high blood pressure or high blood sugar during pregnancy causing toximia or gestational diabetes. Oats can help to reduce the chances of women encountering these health problems. Oats can be made into a delicious hot cereal like porridge, topped with pure maple syrup, fresh fruits, dried fruits, nuts and/or coconut milk to add more nutritional value to it. Also oats can be made into tasty granola, (there's a great recipe for it here on my blog), granola bars, or even a nice gluten free bread. So, rejoice in your pregnancy! Thikr and read Quran often, to develop you and your babies spiritual well being. And endulge in the good foods that Allah has provided for you so that you both can benefit by having healthy bodies and minds. Enter your email address to receive new recipes in your inbox! Almond Milk; A Great Dairy Alternative! Write something about the site (such as a brief introduction/author bio) here. 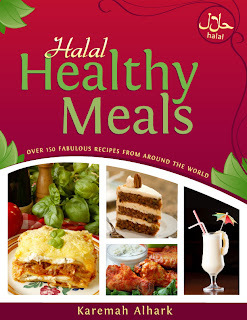 Unless otherwise stated, all content on this site is copyright Halal Healthy Way 2011. Please do not copy or redistribute this work without prior written consent.